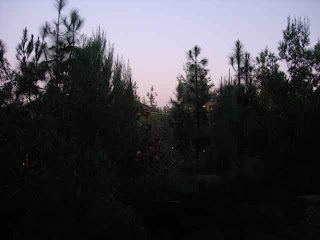 Last weekend I went with my other half to Disneyland Resort's Villas at Disney's Grand Californian Resort. It was fun! We loved the room- we had a Studio. 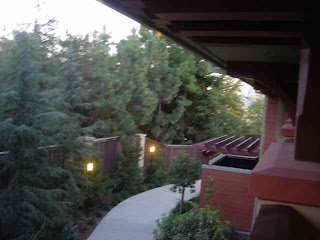 It was more homey than the rooms inside the main inn of the Grand Californian. We loved the views from the balcony, too, which you can see here. 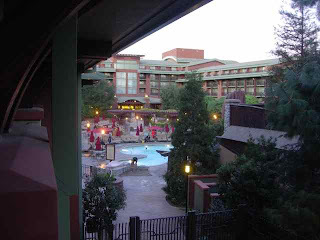 We were in back of the Brother Bear Challenge Trail, and we had a good view of the pool area. I am so glad that I joined Disney Vacation Club- it's the best!